Most think of Rio de Janiero when they imagine Brazil, but the Republica is massive, diverse and full of adventure. Beautiful small towns in Brazil line the 4,650 miles of coastline offering the adventurous incredible tropical experiences. The rainforest hides old colonial towns full of Baroque churches revealing a glimpse back in time. And cultural activities are abuzz in towns less traveled by tourists. Sitting at the mouth of a verdant river on the Atlantic Ocean in southern Sao Paulo state is Iguape. Legend has it that the Spanish originally found a small village at the mouth of the river in 1498 and named it after a regional plant. The village and accounts of the Spanish founding were destroyed some years later by French pirates. The sluggish economy relies on tourism and small boat fishing, but there is evidence of a once booming rice farming industry. The town’s historic district contains beautiful old Portuguese houses being maintained by the local government. Alcantara is the former home of rich 19th-century plantation owners sitting just across the bay from São Luís. Built with slave labor, this colonial town has been in decline since the late 19th century. Mansions in various states of upkeep, from maintained to ruined, line the cobblestone streets. The population of this town has stayed rather minimal for its entire history making Alcantara an authentic historical destination. There is even a 17th-century whipping post preserved at the hilltop Praça da Matriz. Deep in the south of Brazil, and the state of Parana, you’ll find the small colonial village of Morretes. 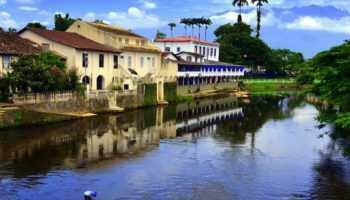 This traditional village is accessible by the Serra Verde Express, a locomotive that snakes its way through the rain forests and down elevation from Curitiba. Departing every morning, this train is a great way to see the countryside of Morretes. The historical center of town is small and explorable on foot. Few people in the area speak English, but you may be able to get some help touring yourself around town at the central historical center. There are a few churches built in the 1700s as well as the beautiful Nhundiaquara River that cuts Morretes in half. Try Barreado, a traditional Parana beef stew served at one of the many restaurants in the heart of town. Ribeirao da Ilha is protected on the inlet side of a peninsula. This is a small, traditional Azorean town evident by colorful cottages that dot the cobblestone streets. The center of the town is the biggest attraction where you can find a 17th century cathedral known as Nossa Senhora da Lapa. You join the locals drinking, playing chess and gossiping at a waterside park near the cathedral. You won’t find many tourists here, just a traditional and slow-paced Azorean lifestyle. The biggest draw of the town is perhaps the traditional Azorean food served in a handful of local restaurants. Next to the city of Natal in the state of Rio Grande do Norte sits perhaps one of Brazil’s most famous beaches — Pipa Beach. 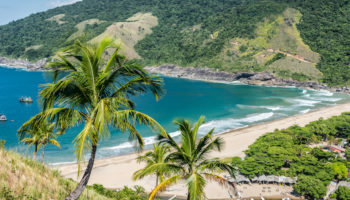 The beach seems to stretch forever with swirling lagoons, medium-sized waves for surfing, dolphin and sea turtle sightings, hostels, bars, restaurants and shopping all set against magically tall cliffs. The narrow main street of the town runs about 1.25 miles with alleys shooting down to the beach. Tourist vans and full-size buses drop tourists off at both ends of this main street. In the center of the country surrounded by rivers and sitting atop rugged terrain is Goias Velho. Once the capital of Goias, this small town in Brazil is bursting with important local history. The cobblestone streets are still illuminated by lamps that must be lit by hand and the white colonial cottage homes are breathtaking. You’ll find a handful of beautiful baroque churches that draw thousands every year during Semana Santa, or Holy Week. And on July 25th, on the anniversary of the town’s founding, Goias Velho becomes the capital of the state once again for three days. Snorkelers come to the small coastal town for its amazing reefs. 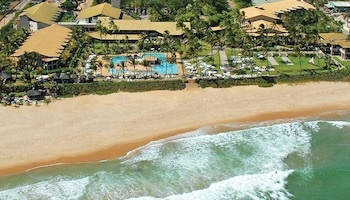 You’ll find homey pousadas next to towering five-star resorts. Translated into English as the Port of Chickens, this incredibly popular beach destination has a dark past. 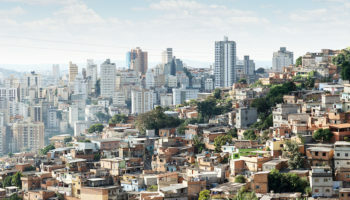 The name alludes to a time when the slave trade came to Brazil. Technically illegal, slave traders brought their human cargo under the guise that they were chickens. White sand beaches stretch for miles in every direction from town while the local government works hard to preserve a semblance of village ambiance against the rising tide of tourist crowds. 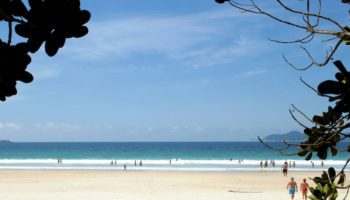 The Green Coast of Rio De Janeiro is home to Parati (also spelled Paraty). The bay is full of lush islands, jungle hills backdrop the bright white colonial buildings, and the peninsula hides beaches waiting to be found. Motor vehicles are not allowed in town because the old cobblestone is too irregular making Parati a walker’s paradise. It also helps preserve the beautiful centuries-old buildings. The sheer beauty of the town can draw thousands to make for an overcrowded experience, especially during the summer months. Bonito is ecotourism. The town itself has one street, but it contains everything you need to enjoy your ecotourism stay. Bonito is surrounded by incredible beauty that is fervently protected by the government and regulation. In fact, most of the surrounding area is off limits, but you can still enjoy some jaw-dropping scenery. There are places where lakes form inside of caves full of stalactites, and where waterfalls pour into cooling rivers that are so clear you can snorkel without a mask. Every year, 45 days after Easter, the Festa do Divino Espírito Santo breaks out in the small Goias town of Pirenopolis. The popular mounted horse festival, along with colonial architecture and roaring waterfalls, makes this a popular tourist destination. The oldest church in Goias, Igreja Nossa Senhora do Rosário de Meia Ponte, can be found here amongst the magnificent buildings. And the Cavalhadas has been taking place since 1826, where horsemen dress up as Moors and Christians to recreate a battle waged by Charlemagne. 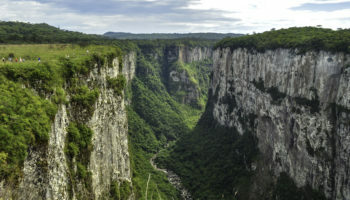 Three towering waterfalls — Santa Maria, Abade and Rosario — surround this popular, festive town. 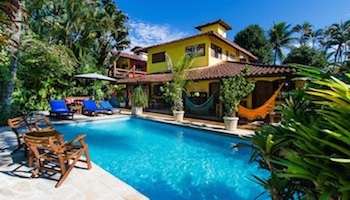 Trancoso, in the Bahia province, was inaccessible to the rest of Brazil until the 1970s. 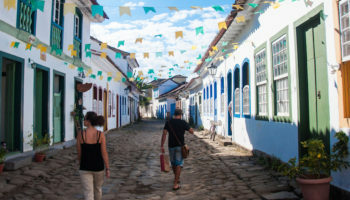 Surrounded on three sides by thick, dense jungle and the fourth side by the ocean, Trancoso has developed a culture distinct from the rest of Brazil. Sitting on protected shores that offer abundant beaches, the town moves at a very slow pace with businesses closing in the afternoons. As the sun sets, you’ll find the only illumination coming from lights strung between the trees. 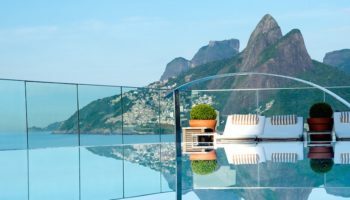 The city is locked into a time warp and is perhaps the greatest Oceanside retreat that Brazil’s 4,000+ miles of coastline have to offer. Shallow reefs and white sands create warm ocean water that is great for snorkeling. You’ll find the adventurous about to explore nearby Chapada Diamantina National Park in Lencois. The northeastern part of Bahia is mostly dusty sertao desert, but Lencois is situated in a beautiful mountainous wooded area. It is an old diamond mining town that is still showing off the riches it once accumulated. Hole-in-the-wall restaurants can be found lining the cobblestone streets and brightly colored 19th-century buildings really catch the eye. Be sure to ask the locals about nearby adventures. Caves, waterfalls, beautiful rivers and towering plateaus wait to be explored. The state of Minas is known for its blue mountain hiking trails and Tiradentes serves as a refuge for those seeking the beauty of nature. The colonial charm of the town cannot be ignored. Antique shops, boutiques, friendly locals and delicious restaurants draw tourists in by the thousands during the weekends. Locals are all too eager to take you on a romantic horse carriage ride through town. It’s best to come here mid-week to avoid the overeager crowds of the weekend. You may be fooled into thinking that Morro de Sao Paulo is a picturesque village sitting on the coast of the Mediterranean. The splendid beauty of this coastal town brings in thousands of tourists every year. 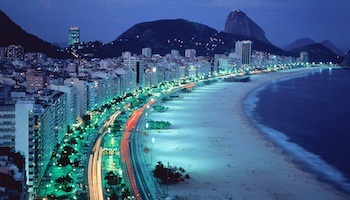 It’s easy to see why as you traverse sand covered streets, calm clear waters and an easy-going nightlife. The small town is actually situated on a tiny island where no cars are allowed. 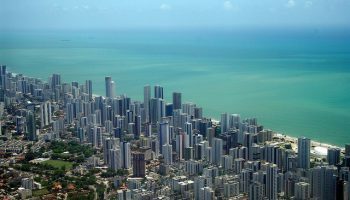 Jungle covers the three hilltops that make up Morro de Sao Paulo and it is surrounded by shallow Atlantic waters. Every day is a holiday here where vendors are eager to mix you caipirinha and live music gets everybody dancing on the beach. You guys didn´t include the most beautiful ones. Gramado, Canela, Nova Petrópolis, Campos Do Jordão, Pomerode, Blumenau, Búzios, Petrópolis, etc. All towns you mentioned were Portuguese colonial towns, you didn´t mention a single German, Italian town out of the hundreds Brazil has. Ribeirão da Ilha is not a city – it is rather a “distrito” of Florianópolis, Santa Catarina state capital. And it is not located in a peninsula, but rather in an island.